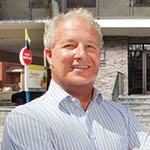 Mike McGahan is the chief executive and trustee at InterRent Real Estate Investment Trust (REIT) and the president of CLV Group, a Canadian property management company. Despite a busy working life, Mike McGahan follows some simple principles of business leadership: in short, he believes in trust, integrity and giving back to the community. McGahan has more than 25 years experience in the real estate industry, with a focus on multi-residential apartments and commercial properties. He started his own real estate company in 1992 and has bought, sold, financed and managed over 300 properties valued in excess of $2 billion. More specifically, he specializes in finding properties with untapped potential and creating value. Early on in his life, McGahan took inspiration from his father, Don, who touched lives through his community involvement. It’s his father’s community involvement that inspires McGahan and his team at CLV Group and InterRent REIT to support local and national charities like the Boys and Girls Club, the Snowsuit Fund, Dragon Boat, the Youth Services Bureau and Habitat for Humanity. Mike McGahan: I like to personally meet and get to know everyone who works for the company. I think it’s important that every employee at any level here feels like they have a voice and that they are known. We want to create an inclusive workspace and treat everyone with respect. How difficult is it juggling your dual role in leading both CLV Group and InterRent REIT? Mike McGahan: My philosophy is to hire people who are smarter than me who believe in the same core values and principles. We want to create leaders and team players. We have an amazing team of industry experts that I rely on every day to keep the operations running smoothly, and we wouldn’t be successful without them. How, in your experience, has technology changed the real estate business? Mike McGahan: Technology has been impacting the real estate industry over the past decade, especially for residents in the multi-family residential sector. Evolving technology is creating real estate in real time and making it easier for the residents to research the ideal options. It has also changed how we interact with our residents and staff across our core markets and streamlined several processes across buying or leasing which is mutually beneficial for both parties. Can you speak to the relationship you are trying to build between CLV Group and the greater community? Mike McGahan: Building stronger communities isn’t just our corporate responsibility, it’s something we genuinely care about. It is something that is engrained in our corporate culture and we collectively share this belief. Each community we operate in is unique. We want to get to know every aspect of that community – the people, the culture, the local shops and businesses, the lifestyle, and the unique nuances. We look at what the needs in the communities are and respond accordingly in big and small ways. For example, it ranges from supporting the Ottawa Food Bank in the tornado relief food drive or re-building a Boys and Girls Club clubhouse for children in that community.